This time I am heading over to the opposite side of the globe for a dose of myth from Vietnamese culture. There is not much I know about this Asia country other than we had struggles 40 years ago, and my father was there and you don't ask him questions. I was very eager to read this collection of short stories from a largely oral tradition of ghost stories and body snatchers. (And ended up a tad bit creeped out.) 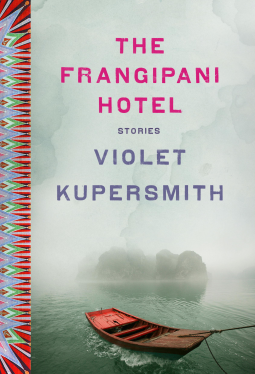 Violet Kuppersmith injects new life in these ancient myths with modern settings. She even, spectacularly, brings the modern struggle of Asian-American lineage to her short stories. It is important for the younger generations to know the culture their family came from while accepting a modern culture of the land that they were born. It is a fascinating anthropological study of diaspora and the making of new heritages. This collection fulfilled my hopes for a look into yet another culture I was not raised to know. I find these explorations into the human condition important for everyone. We all come from a central origination with many spurs of evolution. If you take a look at the myths of every culture, then you can see certain conditions are always met within a myth. This collection was an eye-opener to the Southeast Asia culture that I knew very little about in my years reading folktales. There is a theme of ghost stories to the collection, but each story also has a very important lesson to learn along with the ghost. There are stories centralized in Vietnam; there are stories of immigrants remembering where they originated; and there are stories centralized on Asian-American descendants, and their struggle to find balance with their two heritages. I think my favorite story had to be "Reception", which takes place in the Frangipani Hotel. With the cover title being the main local, I have assumed that this short story is supposed to be a central, perhaps pivotal, story in the whole collection. But to me, it had the best blend of creepy (I will look at water in a much different way now) and beauty. Other strong stories included "Guests", "The Red Veil", and "Turning Back". My only disappointment with this collection was the segue between each story. Many of the stories felt like they ended rather abruptly, and then the next story would just begin. Had I read this novel in paper format I may not have felt so jilted from the flow. However, I did read it digitally and was severely jarred by some of the transitions. Not a huge complaint compared to the knowledge I gained and the growth from that knowledge. I would happily recommend this book to any person with a love of ghost stories and the need to keep the lights on through the night. The Frangipani Hotel releases today. Pick up a copy at your local bookseller and enjoy the things that go bump in the night!